These listings impact hugely on the visibility of the organic results and drive a lot of traffic through both the paid listings and the links to the universal search results. But most business owners don’t realise that these results can be influenced in just the same way as normal organic listings. For example, one of my clients noticed Google News results were increasingly being shown in search results related to their niche. We set up a stand-alone news site focused around the topic with several staff acting as editors. This allows the client to publish targeted news that is syndicated by Google News & pulled into the search results whenever they want. 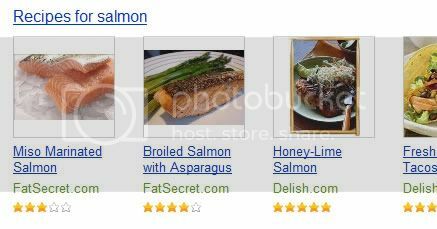 Image results don’t show for every search query but for the ones they do show for the traffic can be very targeted. Image SEO is much harder than normal SEO because the results seem much more random. The key is to experiment and see what works in your niche. One of our favourite techniques is video optimisation. Google adds popular Youtube videos to the search results if they are deemed relevant. It doesn’t add unpopular videos so you need to work on your video marketing techniques. Last week a video about auto insurance sat at the top of the search results for people searching for auto insurance. With millions of views and thousands of comments Google knows it is popular and is quite happy to move it to the main search results. When was the last time you focused on universal search? widespread, but their use can vary dramatically from company to company, and while Econsultancy has an interesting business model, it’s also fairly unique. By looking at other industries I’m hoping we can uncover how the core principles of social media (Listen. Consider. Respond. – you hadn’t forgotten had you?) can be applied to different situations. tenets to differing business models for a variety of reasons.